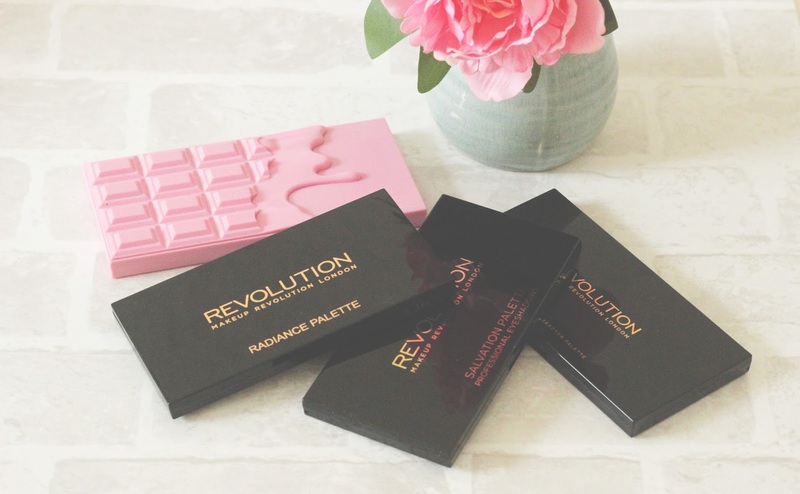 As you may know I am a huge Make Up Revolution fan, they bring out so many amazing products. 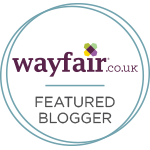 I love a good drugstore dupe and they have so many products that could do a similar job as a high end one. 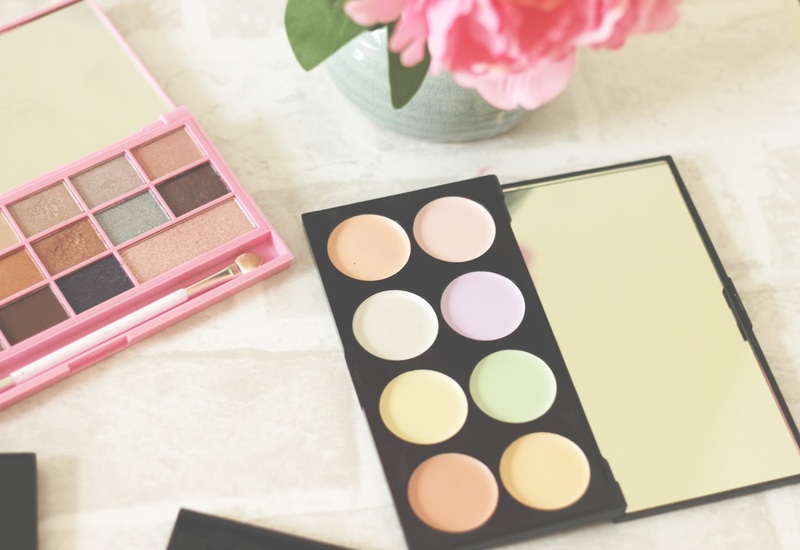 I wanted to share with you four of my favourite palettes by them, the colour corrector one is a new one to photograph due to using up my first one. Rewind four years back I would stick to one shade and no palette in sight, now I own 14 palettes which is a lot. Lets get into the post, to show you four of my favourites. Make Up Revolution is one of the best make up brands in my eyes to hit SuperDrug in years. I am a massive fan of how big the collection is, there is something for everyone in the collection. I would love to be the person/ people to design a palette, imagine the possibilities in shades and design. The I heart chocolate is a big dupe for the The Chocolate Bar palette by Two faced with similar shades to use. The only thing missing is that chocolate scent to it, there are matte and glitter shades to pick. £7.99* The Salvation palette is £4*, one to use for the Autumn. Now this is an amazing palette, something os new to me. I was super excited to try it out and was lucky enough to be sent two. My first one is a mess from using it but as I wanted to photograph my favourite picks I used the new one in the pictures. It is stunning to look at, almost too pretty to mess up. It looks amazing in photographs on Instagram but lets get into why I love to use it. I have problem areas around my eyes and redness around my nose so I use the pink shade to brighten and the cream to cover dark circles. The peach shade helps to cover discolouration and the green helps with my redness. At first this was scary to use, as it is so new to me colour correcting but I wish I knew about it earlier. It is fun to use and helps to brighten my skin, hiding my redness. This palette is a bargain at just £6* Moving on to highlighters, again something new to me this past couple of years. I am a massive fan of the Make Up Revolution highlighters. The pigmentation, glow is insane and it really brightens up my make up. I love the Radiance, Radiant lights palette from them because you can use three different shades with so many make up looks. I gave one to my friend as a gift and she raves about it all the time, they are truly magical. What do you love from Make Up Revolution? 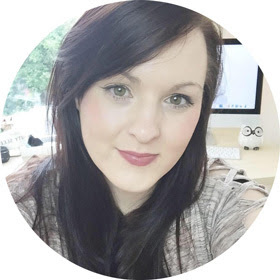 follow me on: BlogLovin / Twitter / Instagram If you have the time please nominate my blog in the Cosmo Blog Awards, here is the information. 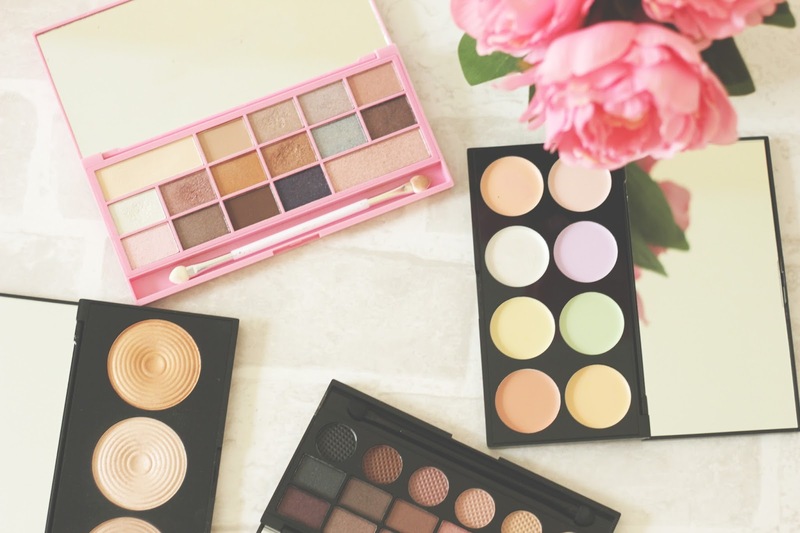 The pink palette is soooo cute! I need to pick up a chocolate bar palette asap! <3 lovely pics!